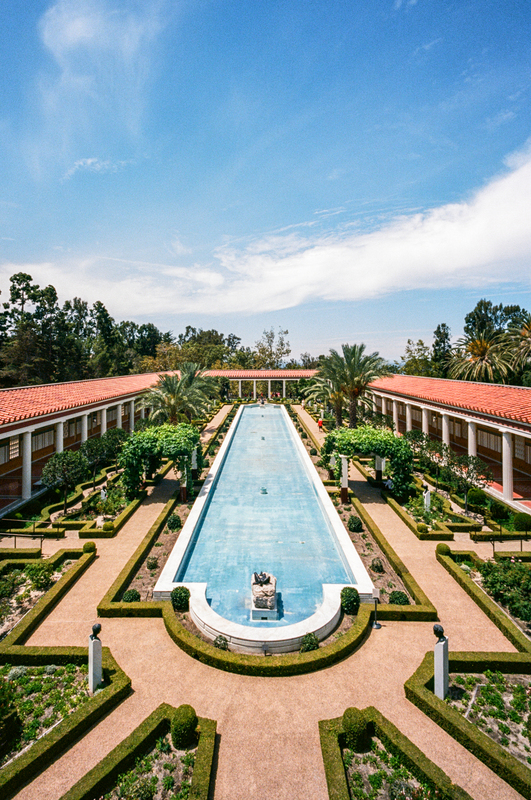 When I planned a weekend trip to Los Angeles in June, 2015, I made a list of things to do that included places I hadn’t seen before. 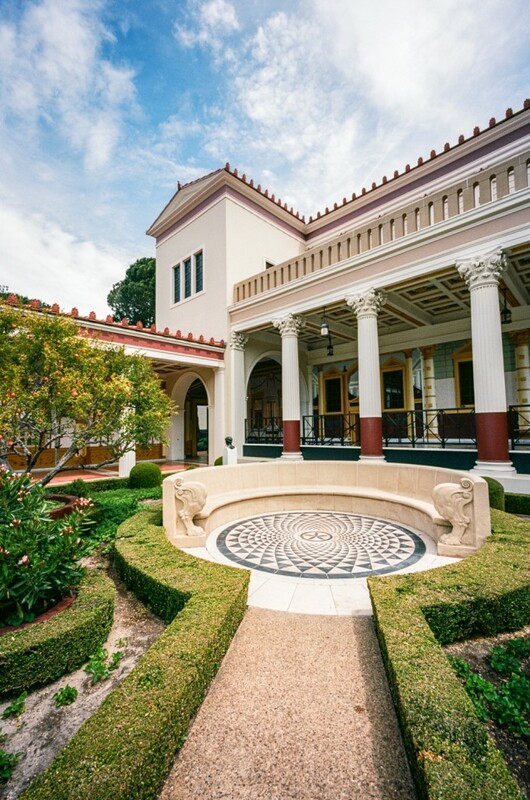 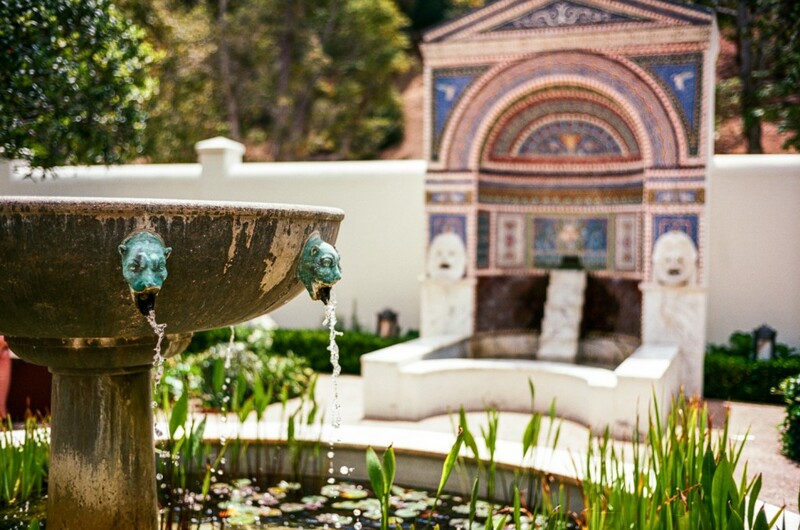 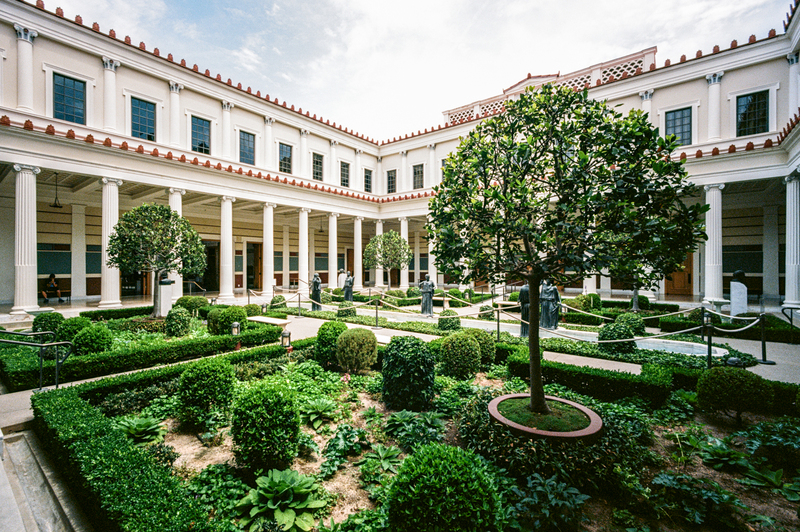 I’d heard of the Getty Villa after visiting the Getty Museum on previous trips, so I looked it up and made a reservation. 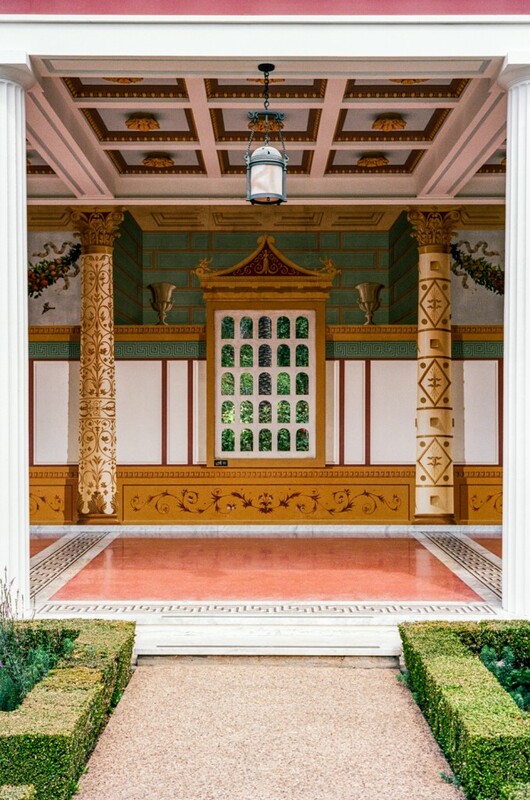 The Getty Villa web site let me pick a date and entry time; admission was free with a fee for parking when I arrived. Once I parked, there were a few routes to get to the grounds of the villa itself. 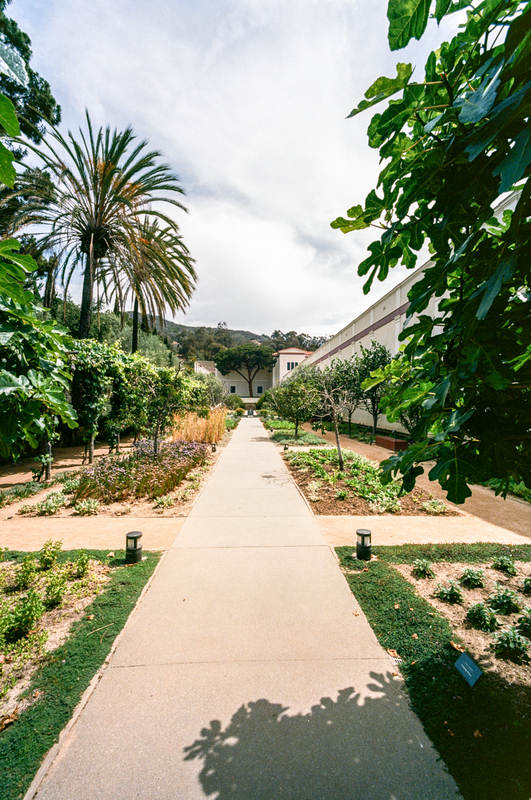 I started by the herb garden, which made for a nice view of the path down the middle of it. I had picked a 10:30 am entry time, a half hour after the Getty Villa opened, so the crowds weren’t too heavy. 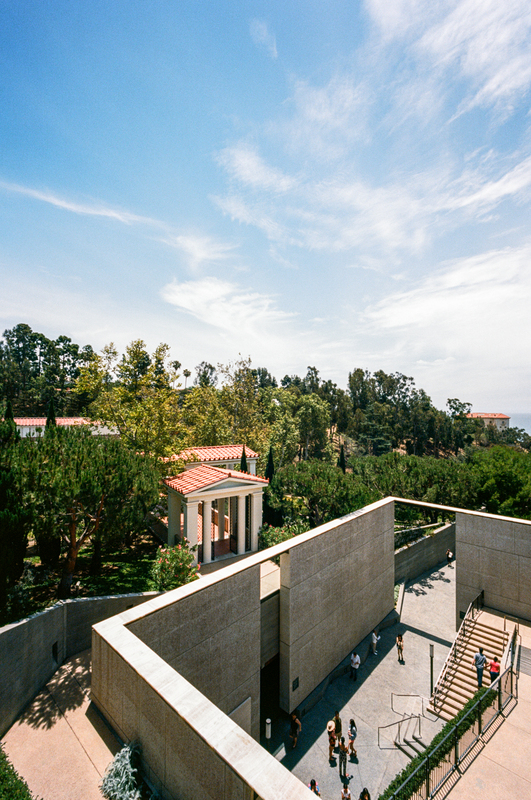 The upside was being able to get wide-angle photos without having to wait too long for them to be sparsely populated or free of anyone in the shot. 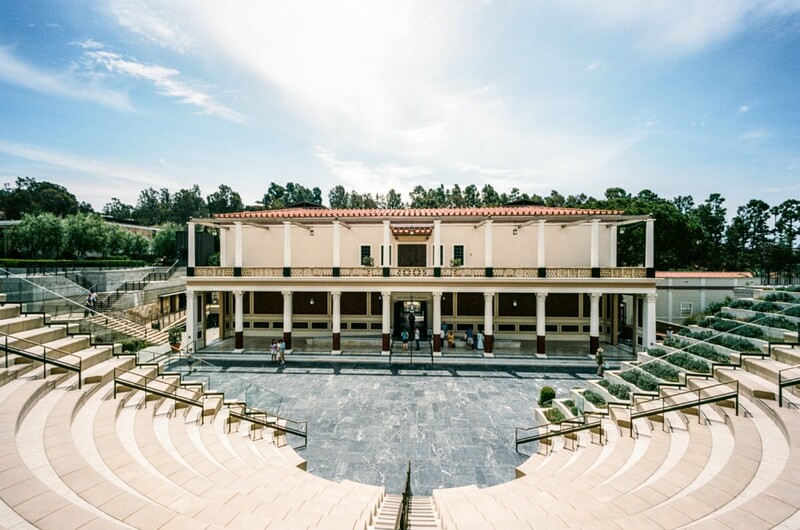 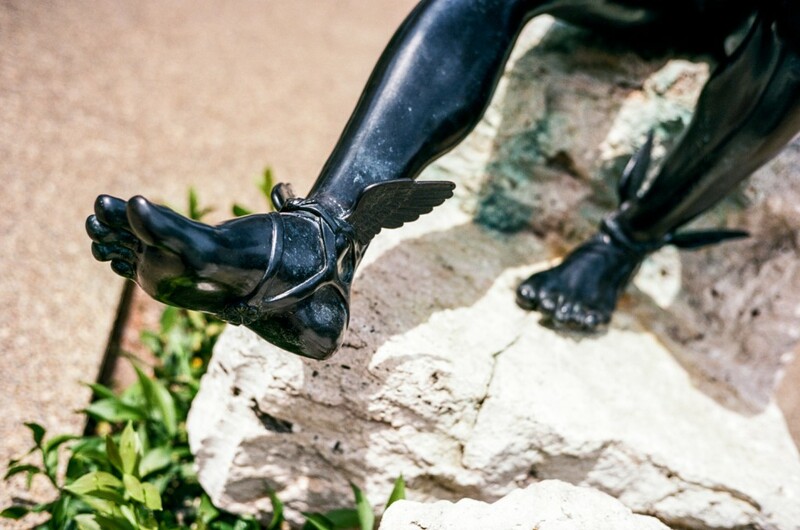 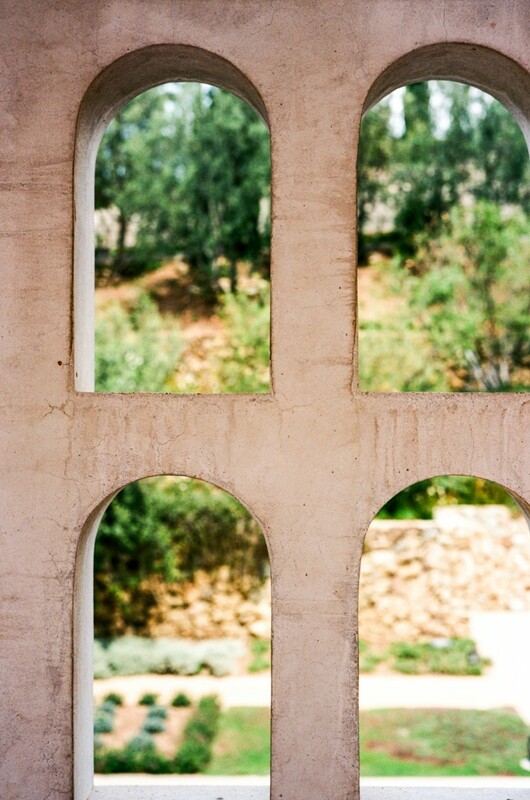 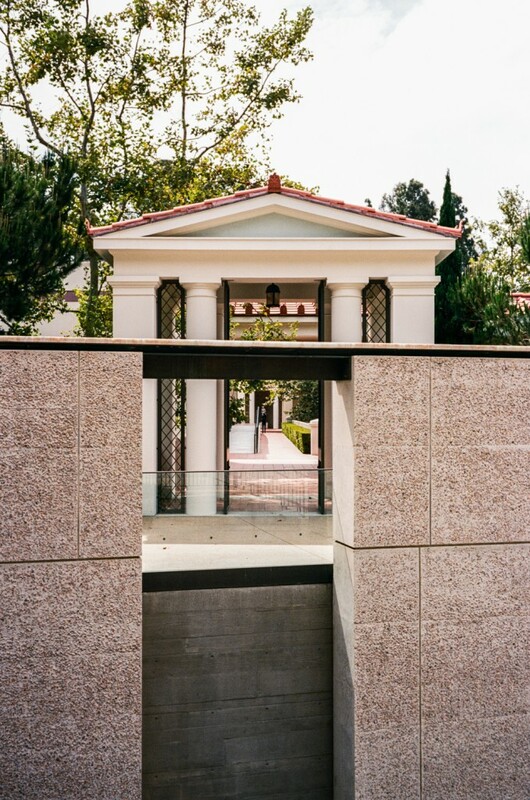 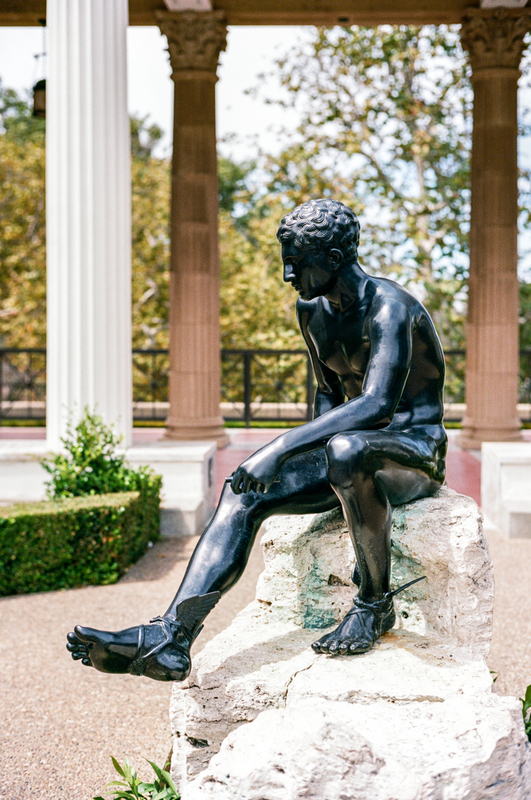 The photos here are selects from my time at the Getty Villa that I shot on film. 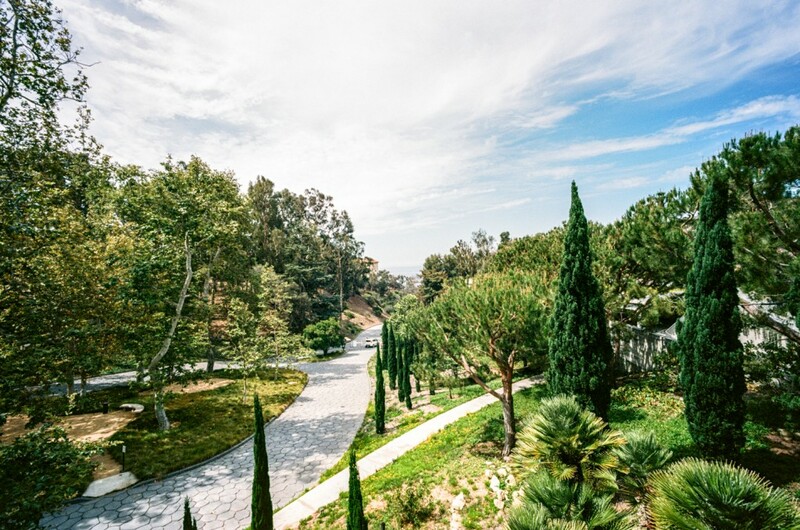 There’s a progression from the entrance by the herb garden, with a view down the driveway, and on to the Outer Peristyle. 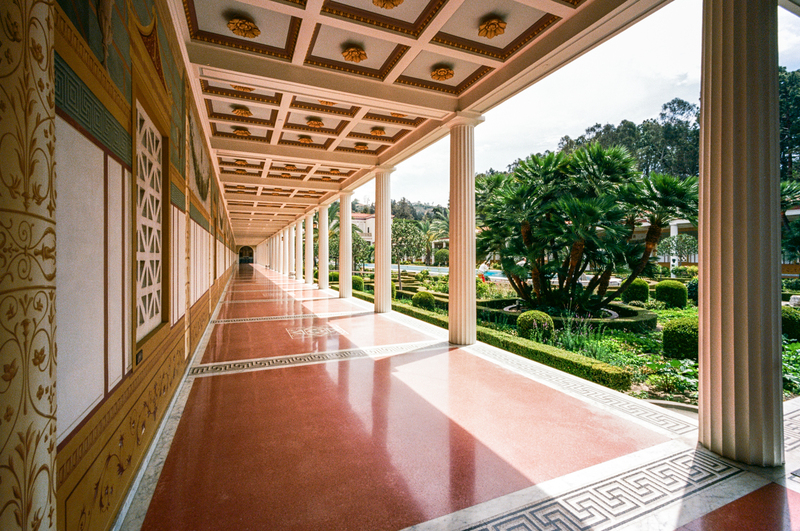 From there it’s into the villa and the Inner Peristyle, and on to the theater at the side of the villa. 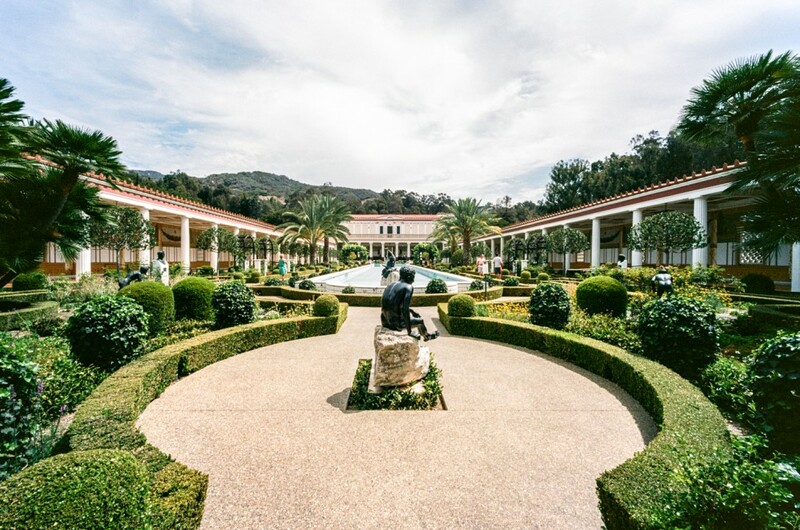 Then I went to the East Garden, before going to the second floor of the villa for another view of the Outer Peristyle, and one last view down the hill on the way out.